Depending on the material your gym equipment is made out of, different steps are required for removing rust. 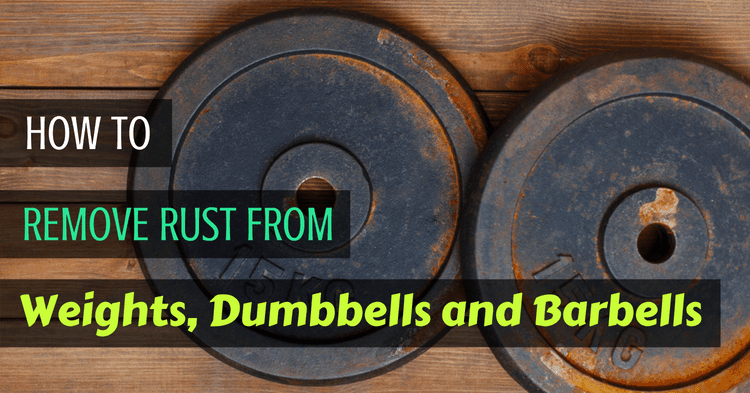 Why Is Your Gym Equipment Rusting? Home gym equipment varies drastically in quality. However, most are made from steel which will rust. 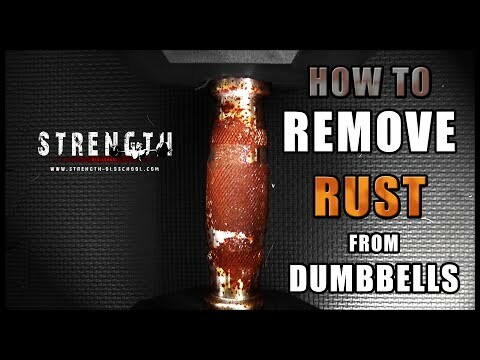 Iron weights will definitely start to rust quickly. The better weights and bars will have a coating, such as black oxide, chrome, or zinc. These coatings help protect the steel from rust. Improper Storage: Always remove plates from bars when you finish with them. Otherwise, it can wear down the coating and cause rusting. Dropping Weights: A lot of bodybuilders love to drop weights. While this is appropriate for some types of lifting, dropping weights is generally bad practice. The impact wears down the coating on your weights, dumbbells, and barbells. Chalk Buildup: Chalk helps draw moisture away from your hands so you get a non-slip grip. But if chalk builds up on your barbells, it will draw moisture towards the bar and cause premature rusting. Always wipe away chalk when down with your bars. Heavy Sweating: If you are one of those people who drench sweat all over your weights or bars, you need to wipe them down when finished. This will go a long way at preventing rust. Not Oiling: It is important that you occasionally wipe your barbell, plates, and dumbbells down with 3-in-1 oil. The oil provides a protective coating against rust. Generally, once a month is recommended for oiling. However, this varies depending on usage and climate. Dremel tool: If there is a lot of rust, you can save yourself some time by using a Dremel to remove many layers of rust at once. Just be warned that this will definitely remove knurling. ***For Painted Weights: A lot of iron weights are painted. If the iron is very rusty, then the paint won’t be able to adhere to it and will chip away. Once you get to this point, there isn’t much you can do to save the paint coating. You’ll want to brush away all the paint to get to the rust underneath. You can repaint afterward. Mix up a solution of 50% water and 50% vinegar. Soak your iron dumbbells or weights in this solution for 24-72 hours. Alternatively, you can use a product called “rust converter” or “rust reformer.” This will cause a chemical reaction which turns the rust into a compound which can be easily wiped off. Using your brush, scrub the weights again. The rust should come off fairly easily now. You’ll need to repaint the iron equipment to protect it from future rusting. You can also spray a product called Rust-Oleum onto it. Bare steel has an unmatched feel, but it will start to rust if you don’t wipe it down and regularly apply a protective oil coating. Note that bare steel will eventually start to oxidize, regardless of how well you maintain it. When this happens, the bar will get a slightly orange tinge to it called a patina. Patina is actually desired in bare steel barbells and will naturally protect it. Using a rag or soft brush, remove any grime from the barbell. Toothbrushes work well to get grime out of knurling. Put an ample layer of WD-40 on the steel bar. WD-40 is great at breaking down rust. For steel, it works a lot better than chemical solutions like vinegar (which can etch the steel). Once the WD-40 has had time to soak in (at least 15 minutes), go at the rusty spots with a wire brush. If the bar is really rusty, you can use a crimped wire wheel attachment for a drill. When you’ve gotten all the rust off, wipe it down to remove any WD-40 residue. Then apply a layer of 3-in-1 oil as a protective coating. Stainless steel contains approximately 10% chromium, so it should resist rust. However, rust can still form on stainless steel. Make a solution of 50% water and 50% vinegar (you can also use Coke or lemon juice). You’ll want to soak the rusty weights or barbell in this solution. Since barbells are so long, soaking them can obviously be problematic. You’d need a giant tub plus a lot of vinegar. A good hack to use is this: Soak a rag in the vinegar solution and wrap the rag around the barbell. You might have to reapply the vinegar solution as it drips or dries off the rag. Using an old toothbrush or soft-bristled brush, scrub off the rust. Avoid using wire bristle brushes as this will scratch the stainless steel. If you have a really stubborn rust spot, avoid the urge to scrub with harsh brushes. Instead, find a cleaner with oxalic acid in it. Apply this and it will remove the rust spot from the stainless steel. These coatings provide a protective layer against moisture to prevent rusting. If your Olympic barbell or weight plates have started rusting, then it is probably because the coating has worn away. In these situations, the goal is to scrub away the rusty spots without further wearing away the coating. Often, it is only certain parts of the gym equipment which is rusted (such as the barbell sleeves). 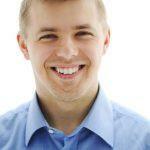 If this is the case, then you’ll want to separate the non-affected areas of the barbell. The easiest way to do this is tape plastic bags around the non-rusty areas. Only use a stiff nylon brush on coated barbells or weights. Using anything else will remove the coating. Adamant Barbell gives the good advice of only use a white or yellow nylon brush. If you try to use a brush with red bristles, for example, the red dye will stain your barbell! If scrubbing alone won’t get off the rust, then you can apply a solution of 50% vinegar and 50% water to the affected area. Vinegar (and any other chemical solution) WILL damage the coating on the barbell. Again, if the barbell is rusting, then the coating is already damaged. However, you should still avoid using chemicals so you can leave as much of the coating intact as possible. Since your barbell is rusting, the coating is damaged. The only long-term solution is to have the coating stripped and recoated. Most people probably won’t bother recoating their Olympic barbells and weights though. DIY methods aren’t very effective and professional recoating can be pricy. If you aren’t going to recoat, apply the same care you would to a bare steel barbell: keep it clean, dry, and coated with 3-in-1 oil to prevent it from rusting again.